Student housing is continuously fluctuating in Waterloo. In many cases, this involves houses being demolished in order for new apartments to be built. 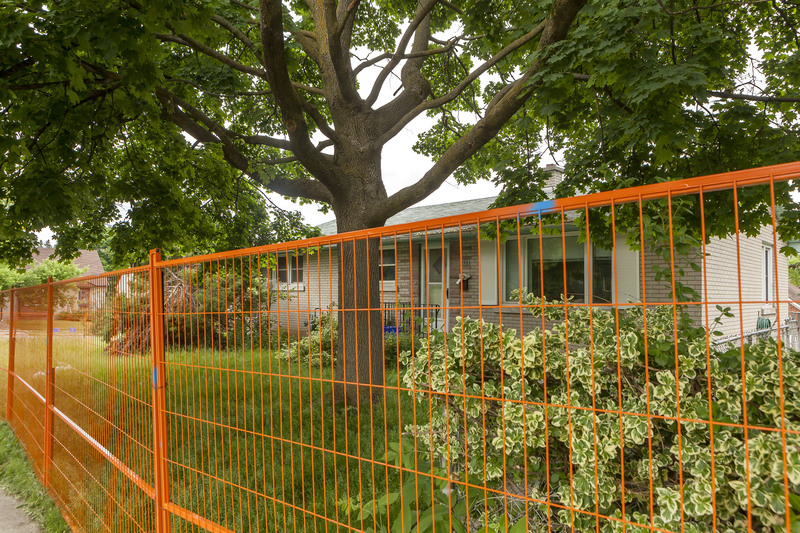 Homes from 72 to 80 Balsam Street, 265, 269, 273 and 275 Larch Street, 69 to 77 Hickory Street West and 260 to 272 Hemlock Street were fenced off to prepare for the construction of a new development. 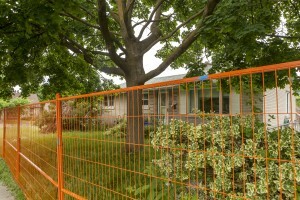 The last tenants moved out of their home on Hemlock Street on June 17. Schembri Property Management has purchased all of the homes in this area in order to demolish them and subsequently build student apartments. Gordon Schembri, president of Schembri Property Management, said these plans have been in the works for the last couple years, and it is only recently that the developments have become more visible. Schembri spoke specifically about the new student apartments, explaining that construction will begin in the next couple of weeks, and will be finished in about 18 months. “About two months ago they told us we needed to be out of here as soon as possible,” said Kyle Floro, a former tenant of one of the homes on Hemlock Street Wilfrid Laurier University graduate. Floro continued that despite not wanting to move out at first, Schembri Property Management reimbursed them for the entire month of June, and provided the four tenants with $1,000 cash to split between them. “It is a project we want to move forward because it is right in front of the school, and it’s probably the best site left for Laurier,” Schembri said. Schembri said that student enrollment is steadily increasing each year between WLU and the University of Waterloo, and therefore tenants are also increasing, and the market is following. The $120-million development that is to be built by Schembri Property Management will consist of one and two bedroom units, and contain almost 400 units in total. There will also be some amenities in the building; however these have not yet been finalized. Schembri also spoke more broadly of the student housing situation in Waterloo. Additionally, with the increased development of apartment buildings in Waterloo, students can expect rent prices to go along with them. For now, students can expect to see an increase in luxurious apartment buildings in the student neighbourhood, however there may be higher rent to go along with it. Author: Daina Goldfinger4th year communications major and psychology minor, this is Daina's 2nd year working at The Cord. She began working as a volunteer writer in March 2013, and quickly afterwards developed a love for news reporting. She is now the lead reporter at The Cord for the 2014-2015 school year. Daina loves reading, travelling, food, fashion and art.